Are you feeling a little crazy? Don’t worry… it is probably spring fever. 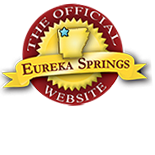 Eureka Springs is celebrating March with events that will get you out of the house and ready for spring. Go fly a kite! – No, really… feel like a kid (or bring real kids) and fly a kite during the Eureka Springs Kite Festival. 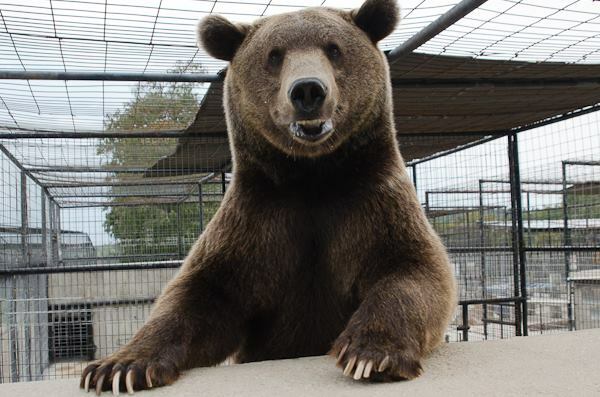 Feed the bear- Well, at least watch him and the other big cats eat. It is more fun than it sounds but feeding time at Turpentine Creek is awesome. You can even stay overnight in Safari Lodging! 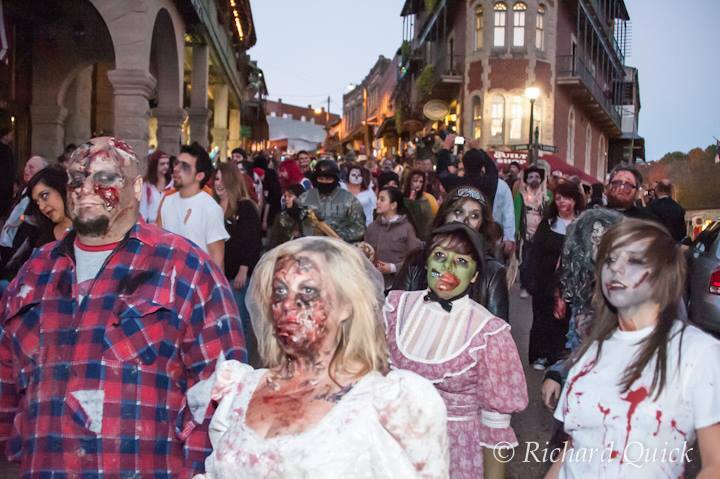 Tag a Zombie – yes, this is actually an event in Eureka Springs… learn more. Make a toast – no city celebrates St. Patrick’s Day quite like Eureka Springs. Come for the parade and stay for the drinks. Interested in Breweriana? Attend the Beer Can & Breweriana Show! You better run… the Victorian Classic is a unique foot race through the winding streets of Eureka. You will want to make this a new tradition. Register now. 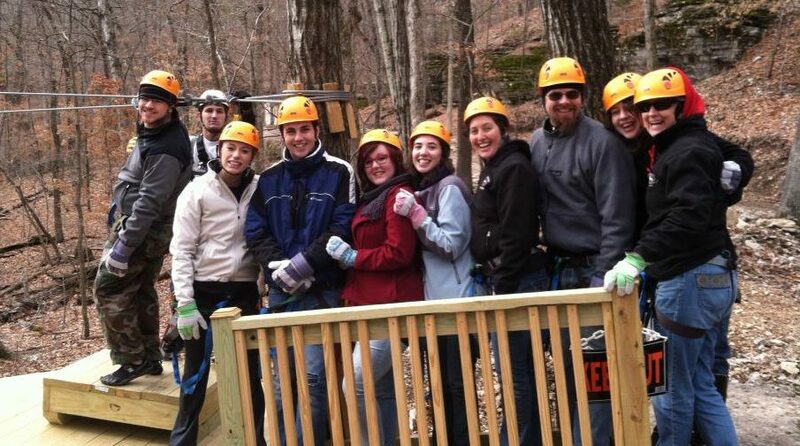 Fly by the seat of your pants – Ozark Mountain Ziplines opens this month. It is exhilarating. Take video and share it with your coworkers…otherwise they won’t believe you actually did it. Get tickets now! Photograph a ghost – Tour America’s Most Haunted Hotel. Take photos of everything and then look for orbs then post to Facebook. You will be surprised at how many people you know have done this and have stories to tell. Get tickets now! Meet a mentalist- Intrigue Theater is an illusionist and a medium. They do an amazing show. You wouldn’t expect to see this kind of show perform in such a small town but it is the real deal. You will be intrigued at the very least. Get tickets now! Introduce yourself to fame, fortune, “and all that jazz” – Chicago, the musical is playing at the Walton Arts Center. It’s just a short, scenic drive from Eureka Springs and you will love it! Get tickets now! This entry was posted on March 1, 2014 by estcblog in Arts & Culture, Attractions, Festivals, Fun Downtown, Ghosts, Road trips, Things to Do and tagged America's Most Haunted Hotel, downtown, Eureka Springs, Eureka Springs Arkansas, historic downtown, local culture, Turpentine Creek Wildlife Refuge.